I’m just not right until I’ve had my morning cup of Ro. . .
As you’ve prolly guessed, this is. . . SO cute! Where did you find such a large teacup anyway?? Cute, cute CUTE! I wanna snuggle those toes. 🙂 I love baby feet. So THAT’S what I’ve been missing in the mornings! I’m with Kendall, just look at those cute baby feet! Ro in the tea cup… very great prop. 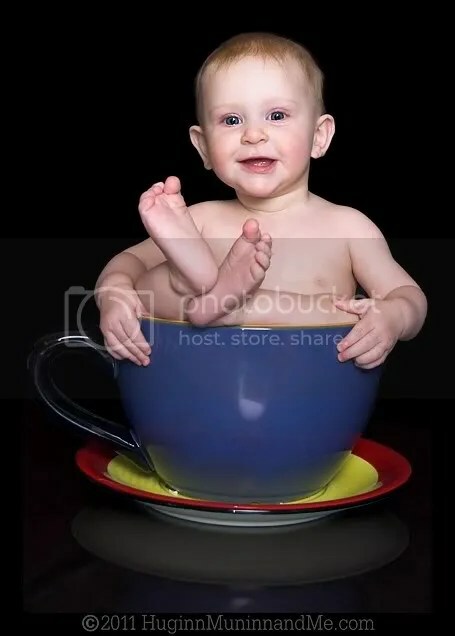 Ro in a tea cup? PRICELESS!! !